Emergency vehicles rely on a clear path to get to the scene safely and as quickly as possible. But as our urban landscapes become more crowded and active, they can be difficult to navigate at even an ordinary pace. That’s a real concern for larger response vehicles like fire engines. Proposals for wider bike lanes and pedestrian paths are usually put forth with safety in mind but often city fire departments will push back against such changes to city streets. For large firetrucks that need to quickly and smoothly maneuver past traffic, people, and around already tight corners, narrowing vehicle paths are a real problem. Fortunately, a compromise may be possible through the use of more compact but still capable firetrucks. 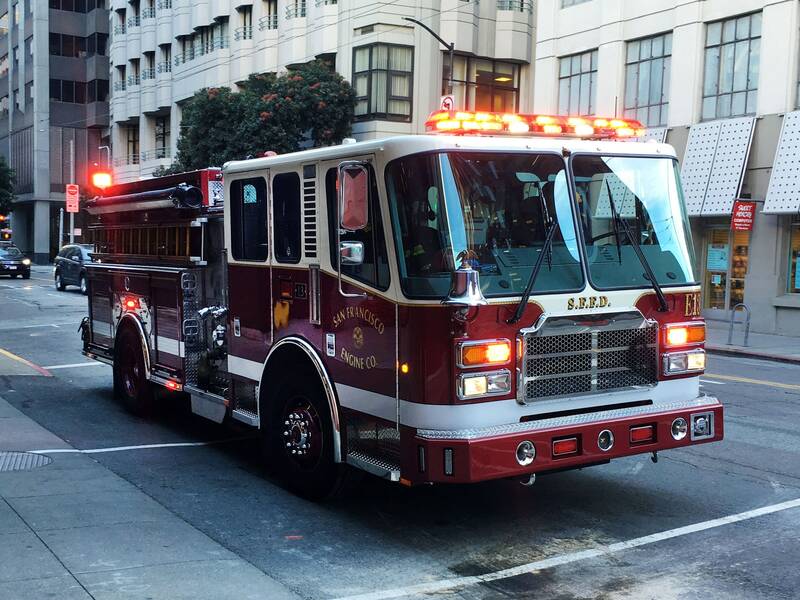 At San Francisco’s Fire Department Station 13, a new, downsized version of a fire engine has been adopted for more agile operation in busy, crowded city streets. The Version Zero firetruck was created by Ferrara Fire Apparatus. It’s ten inches shorter and two inches narrower than the trucks in the department’s conventional fleet. While that may not seem like much of a reduction, the Version Zero’s turning radius has shrunk from 33 feet to 25, which is significant when squeezing through and around open bike lanes, double parked cars, ride-share pickups, and pedestrian zones. Other modifications include tint-free windows that allow for better communication between pedestrians, bikers, and firefighters, as well as equipment compartments with roll-up doors rather than those that open out. Additional turn signals and parameter monitor cameras also contribute to efficient and safe operation in and around traffic. Will Other Cities Follow San Francisco? Eight Version Zero trucks are currently in service in San Francisco’s tightest, most problematic areas for navigating, and the city is expected to have more on the way. Baltimore may soon follow, as contention between the fire department and proponents of more cyclist and pedestrian friendly infrastructure changes have risen. A more agile fleet of fire engines could be a safety investment that walkers, cyclists, and firefighters would all be likely to welcome. Tell us what you think of this fire engine update in the comments.